Sports officials (umpires, referees, judges) play a vital role in every sport, and sports governing bodies, fans, and players now expect officials to maintain higher professional standards than ever before. In this ground-breaking book, a team of leading international sport scientists and top level officials have come together to examine, for the first time, the science and practice of officiating in sport, helping us to better understand the skills, techniques and physical requirements of successful refereeing. 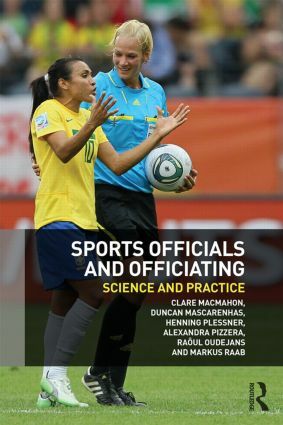 Top-level officials or officiating managers contribute in the ‘Official’s Call’ sections, reflecting on their experiences in real in-game situations across a wide range of international sports, and on how a better understanding of science and technique can help improve professional practice. No other book has attempted to combine leading edge contemporary sport science with the realities of match officiating in this way, and therefore this book is vital reading for any advanced student of sport science, sport coaching or sport development, or any practising official or sports administrator looking to raise their professional standards.